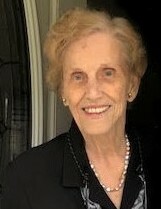 Dorothy Mae Bridges Hamrick Wilkinson 84 of Lincolnton died Saturday, February 2nd, 2019 in Winston-Salem. Born July 24th, 1934 she was the daughter of Carver Spurgeon Bridges and Jennie Dean Allen Bridges. Two daughters, Jennie Hamrick Fentress and husband Robert of Winston-Salem and Joy Hamrick Fulford of Raleigh; a son, Todd Hamrick of Oklahoma City, OK; a sister, Jo Lena Rabon of Charlotte; three brothers, Carl Bridges, Don Bridges and wife Lela, and Dean Bridges and wife Barbara, all of Shelby; grandchildren, Curtis Fentress, Dorothy Fentress, Raleigh Hamrick, Reid Wilson, Brooke Fulford and four great grandchildren survive her. The Graveside Service will be 11:00 am Saturday, February 9th, 2019 at Sunset Cemetery in Shelby with Timothy Trexler officiating. There will be a reception following the service at Mt. Sinai Baptist Church in Shelby. In lieu of flowers memorials may be made to Mt. Sinai Baptist Church 1227 Mt. Sinai Church Road Shelby, NC 28152. Please sign the online guestbook at www.jenkinsfuneralhome.net. The family has entrusted arrangements to Jenkins Funeral Home and Cremation Service in Newton 828-464-1555. Directions to Sunset Cemetery from I-40: heading east on I-40, take Exit 105 toward NC-18 S/S Sterling Street. Use the left lane to continue toward NC-18 S/S Sterling Street then turn left onto NC-18 S/S Sterling Street and continue for 36.2 miles. Continue straight onto W Grover Street, turn left onto N Morgan Street, in .5 miles turn right onto W Sumter Street. Turn right onto N Martin Street, turn left at the 1st cross street onto Sunset Cemetery Road/Woodlawn Avenue, turn right onto Sunset Cemetery Road, and the destination will be on your left. Directions to Mt. Sinai Baptist Church from Sunset Cemetery: Head south on Sunset Cemetery Road toward Woodlawn Avenue, turn left onto Sunset Cemetery Road/Woodlawn Avenue, turn right onto North Martin Street, turn right onto West Warren Street, turn left onto Charles Road. After 2.4 miles, turn right onto NC-150 W/College Ave. After 4 miles, take a slight left onto Burke Road, turn left onto Riverhill Drive, and after 2 miles, turn left onto Mt. Sinai Church Road. After 1 mile, the destination will be on your right.